Today, I pray and ask for his forgiveness, I am sorry that I have been busy and sometime forget to pray in the morning and before I sleep. I am sorry that I have been working so hard and skip my daily prayer. 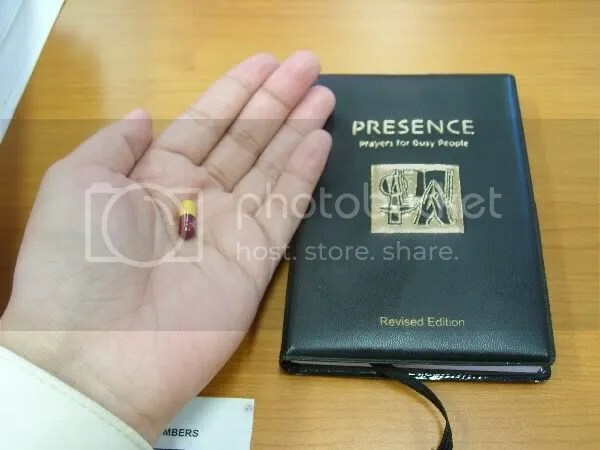 Last few weeks, I bought this “PRESENCE – Prayers for Busy People” as guide by Inden on spending our ticket at the Sacred Heart bazzare. I just want to get well very soon and learn the lesson that I have been through lately. Thanks to all my friends who always be my side and pray for my health. I really appreciate it though some people didn’t undertstand my situation. Like trying to apply leave but pretend not seeing it. Anyway, I will try to finish whatever outstanding task I have here and start my normal life again.